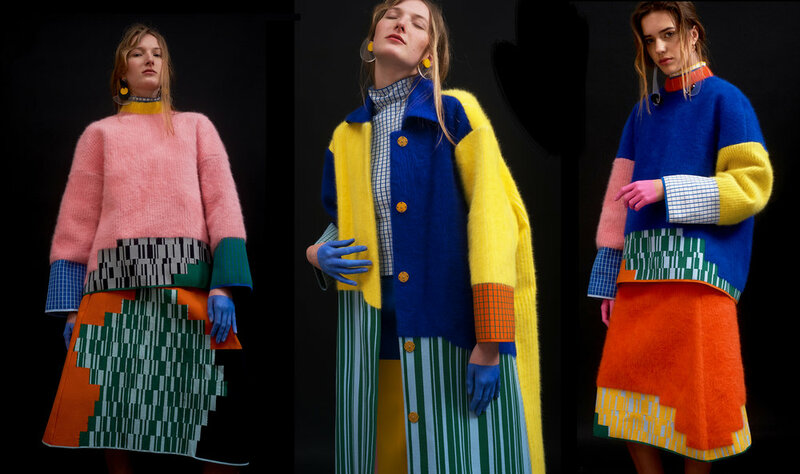 The inaugural collection of i-am-chen Playground is an all-knitwear collection that conveys playfulness and lightness while the garments are underpinned by highly intricate and sophisticated fabric structures. The elaborate patterns, rich colours and distinct textures are all knitted into one integral piece of seamless fabric. The collection is offering a new knitwear that renders a smooth surface that bears intricacy within a harmonious whole, as if the fabrics are born this way, natural and pristine. This collection redefines knitwear.